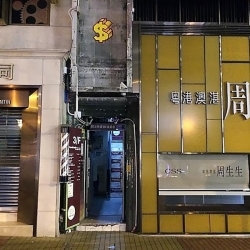 Armed with kilos of tiles, the French artist Invader relentlessly worked all night to achieve a maximum amount of points in Hong Kong. 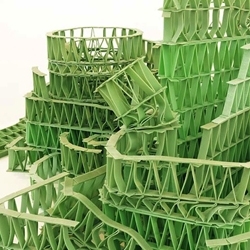 French artist Jérémy Laffon utilizes the flexible nature of chewing gum to create intriguing sculptures made solely with the fragile material. 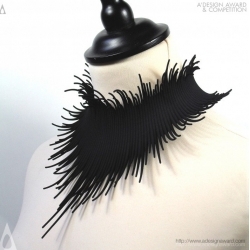 Extravaganza Collier is a modern interpretation of the ancient ruffs printed in 3D by Dario Scapitta. 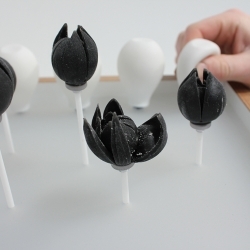 VIDEOBelieved to be the world’s first multi-material inflatable 3D print. 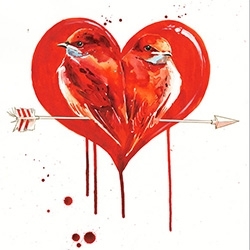 Blossom works by forcing air into the cavities of the print causing it to ‘bloom’ and thereby reveal the complexity of its physical structure. 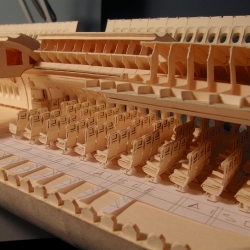 An incredible model Boeing 777 made from manilla envelopes by Luca Iaconi-Stewart. 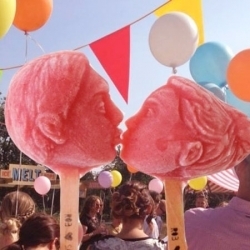 VIDEOThe MELT Icepop Generator could make your face into a popsicle. 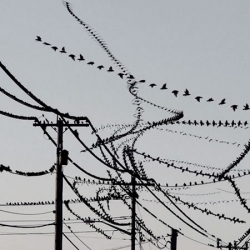 VIDEOIncredible footage of birds in flight from Dennis Hlynsk capture their flight paths. 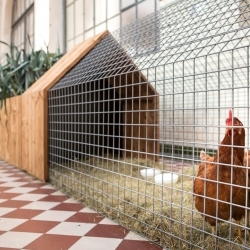 Tiny farming: Daily Needs Modular Chicken Coop & Garden by Studio Segers provides all the components you need to assemble housing for chickens, raised beds for vegetables, composting bin, and tool shed in a configuration of your choice. 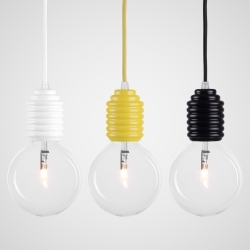 Vidon Lamp by Enrico Zanolla & Irregolare. 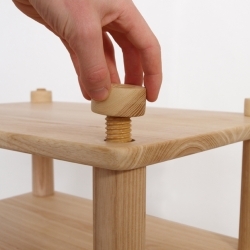 Vidon means ‘big screw’ in Friuli, and its shape is inspired by the press machines screw used in the grapes press process. 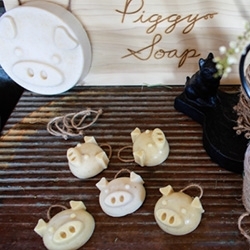 Crafted from ceramic. 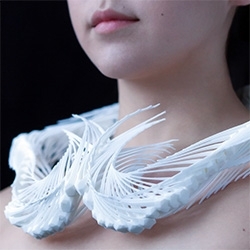 Madeline Gannon's Reverberating Across the Divide reconnects digital and physical contexts through a custom chronomorphologic modeling environment that uses virtual squids to generate 3D printed wearables. 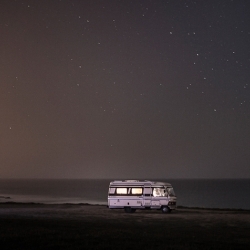 In 2011 Alessandro decided to buy an old motorhome and move it along the south coast of Portugal in some of his favorite places along the european coast. 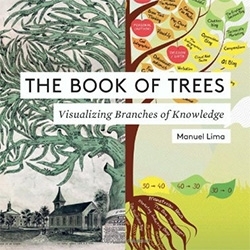 Sensory Fiction - new ways of experiencing and creating stories. 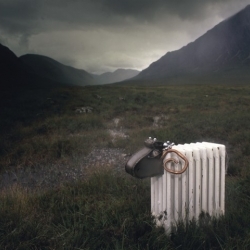 This radiator sheep made by London based Artist Sophie Marsham was shipped up to the highlands of Scotland ... for photographs! 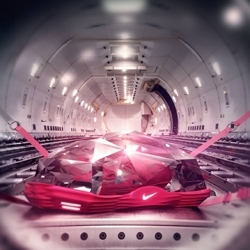 Serial Cut created the visuals for the new Nike Lunar Ballistec, one of the lightest and fastest tennis shoes ever made, using CGI. 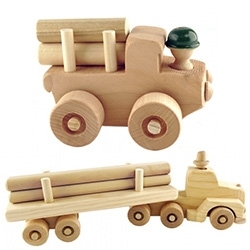 Strawbee construction kits, fun for kids, scale up from lego and meccano without breaking the piggy bank. 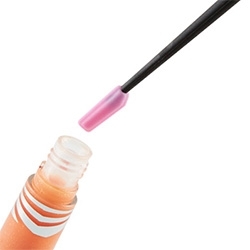 Akio Hayakawa's Easy Pencil. 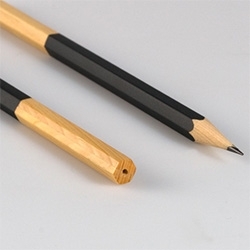 The 60mm shorter piece of lead is embedded in the pencil. That means you can actually use the lead to the end. 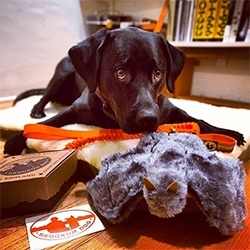 FEATUREDSkookum Dog Gear ~ NOTpuppy, Bucky, tries out their (faux) Sheepskin Bed with Memory Foam, Stuffed Toy Bat, the World's Best Tennis Balls, Collar + Bungee Leash and more... Fun packaging and details. 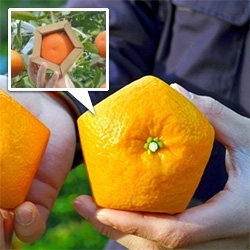 Amongst the fruit you can shape, apparently you can make pentagonal oranges like these japanese farmers. 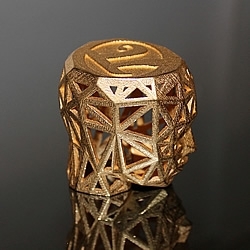 The designer of the year is an award initiated by the IAD - The International Association of Designers, each Laureate receives the 3D Printed Award Trophy, designed by OMC Design Studios. 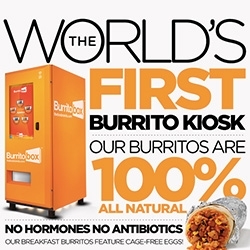 BurritoBox Vending Machine ~ this digital vending machine heats up your evol burritos and lets you add sides of sour cream, guacamole, etc. 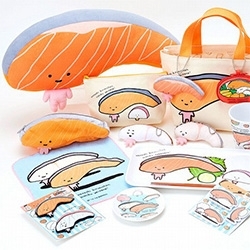 Salmon lovers - check out Kirimi, the latest character to join the Sanrio family. 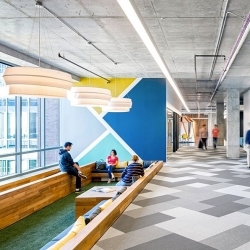 The new offices of Cisco-Meraki in San Francisco, California by O+A. 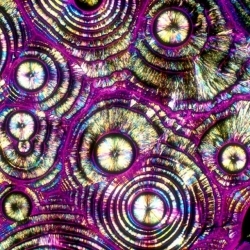 Bevshots, photographs of your favorite beers, wines, cocktails, liquors, and mixers taken after being crystallized onto a slide, and shot under a polarized light microscope. 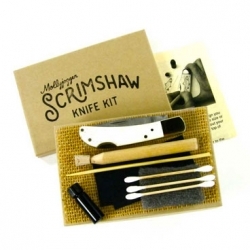 The Heirloom Scrimshaw kit lets you customize your own bone-handle knife. 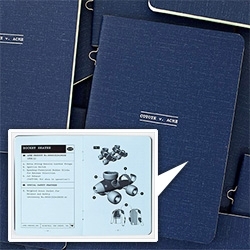 Coyote vs Acme (Think looney tunes and all the failed gadgetry the poor coyote tries) "Pentagram’s Daniel Weil has reimagined designs for five of these gadgets, rendered as a series of highly detailed technical diagrams." 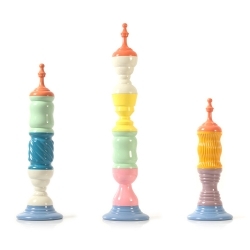 Torrembolesca, opulent totem-like containers for chocolate bonbons. 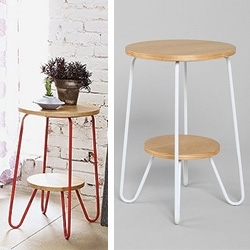 Design by Andreu Carulla Studio for Rocambolesc. 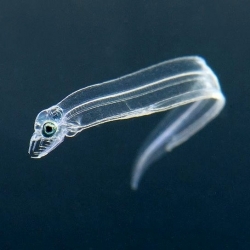 Baby Moray Eels at Tiergarten Schönbrunn. Svet Vmes Architects transform the entrance of an Ledina Grammar school in Ljubljana. 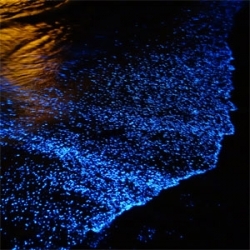 Stunning photos of bioluminescence in the Maldives from Andy Ho. 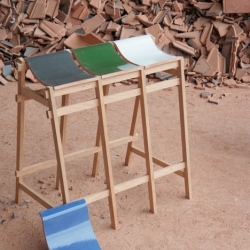 Stools and benches with seats made from roofing tiles from Tsuyoshi Hayashi. 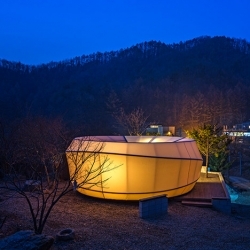 Glamping tents by ArchiWorkshop for a remote campsite in Yang-Pyeong, South Korea. 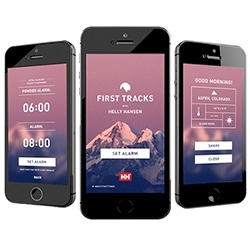 Helly Hansen First Tracks App ~ the gorgeous alarm clock that wakes you up earlier if it has snowed during the night! 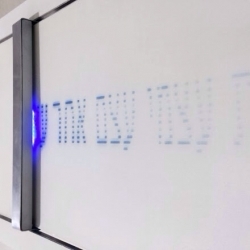 The Confession Machine prints online texts that fade away as time passes, just like the confession itself. 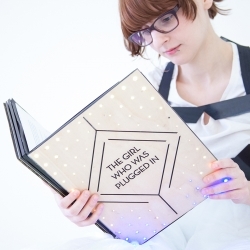 It prints on a surface painted with UV sensitive pigment and flickers UV LEDs, temporarily writing sentences. 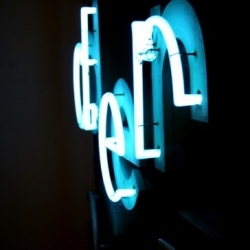 Das Berliner Buchstabenmuseum, the Berlin Museum of Letters, a photographic tour. 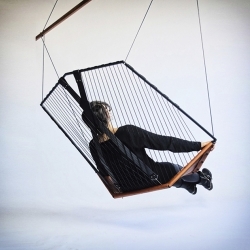 Solo Cello Chair by Les Ateliers Guyon. 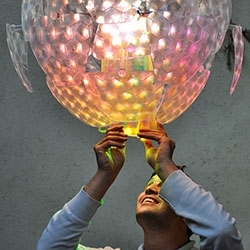 Francisco Gomez Paz and Paolo Rizzatto, designers of the Hope Light, share their prototyping and design process of the iconic chandelier. 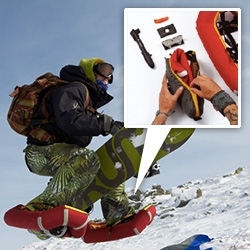 Small Foot Inflatable Snow Shoes! 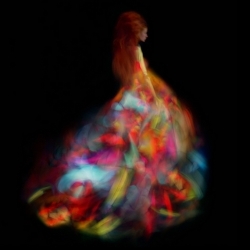 Art Photography by Nadia Wicker, photographer and make-up artist based in Paris, France. 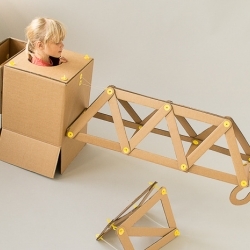 Freeform - adaptable furniture inspired by construction toys. 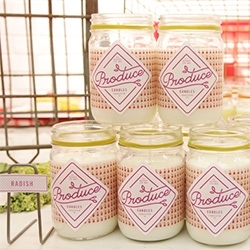 Radish, Kale, Peach and Cilantro make up this brilliant new line of farm fresh scents via Produce Candles. 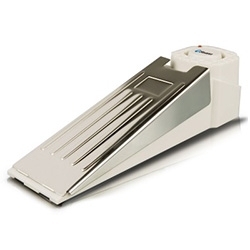 Swann Doorstop Alarm ~ interesting idea for door security. 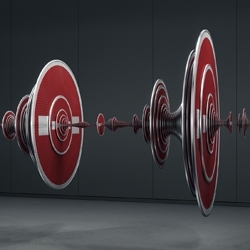 Rizon Parein illustrated Mercedes-Benz's traffic-sign recognition technology, creating a CGI sound wave from no-entry signs.